With Whitehawk and Wingate and Finchley both losing, the draw that seemed likely - courtesy of Matt Foy’s 67th minute response to Kezie Ibe’s 40th minute opener - wouldn’t have been too bad a result. But goals from Matthew Johnson (‘90) and Joshua Davison (‘93) leave Harlow bottom, yet only three points from safety. Roared on by a large cohort of travelling fans, Enfield materialised the game’s first chance through Billy Bricknell, who’s sumptuous crossfield ball found Lewis Taafe, although Ugo Udoji made a strong block to prevent a shot. Tom Hitchcock had no obstacles of his own nine minutes in, put through one-on-one after a precise long ball from Scott Davies. From nine yards out, the prolific striker hesitated too much, and after shifting across, saw his low shot saved by the ankle of Matthew Nolan. After Davis dispossessed Jay Porter in the visitor’s half, Hitchcock launched an ambitious effort from range, and was only just narrowly over. Neither team were thriving with the ball on this warm afternoon, so it was no surprise to see the next chance be a very simple one. Nolan’s goal kick found Micky Parcell in the middle of the park. 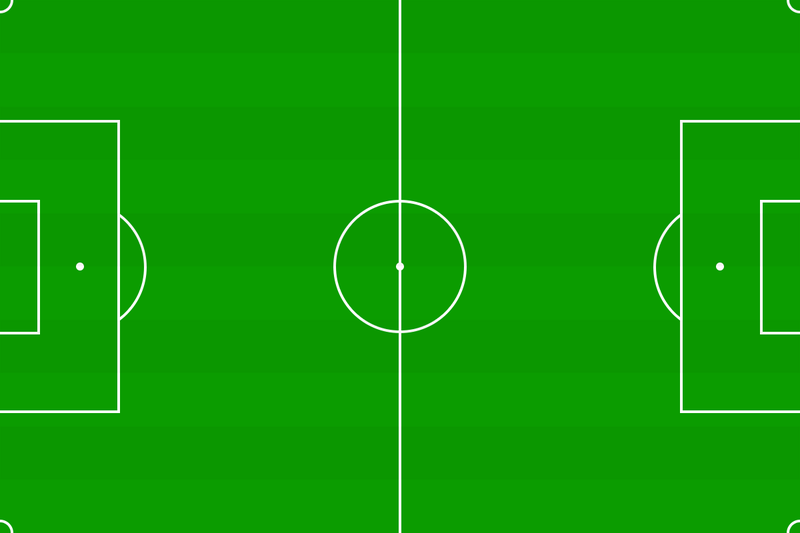 The unmarked winger took one touch, and easily slipped it through to Bricknell. He travelled forward from the by line, and forced Josh Bexon into a low save at his near post. While not nice to see for any player, Harlow Town fans would’ve been somewhat pleased to see Bricknell go off with a hamstring injury on the half hour mark. The division’s golden boot contender has been on the winning side in the last ten games he has scored. Both teams were displaying wastefulness, a trait especially surprising from the visitors. Matt Foy shot wide from close range after the ball accidentally fell to him. Former Hawk Kezie Ibe then failed to test Bexon from ten yards after collecting the ball outside the box, and dancing around multiple markers. But Ibe was to be given another chance a few minutes after. Patient build up play eventually saw Sam Chaney spread the ball wide to Bricknell’s replacement, Joshua Davison. He then unleashed a powerful cross in, which bounced wildly as Ibe collected it. With the ball getting away from him, the striker took a wild punt at it, but the speed of the ball meant Bexon had no chance, the close-range shot flying past him towards the far post and into the net. Hitchcock wasn’t having the best day so far, and his frustration level rose in the 44th minute. After being brave in a 50/50 with Jay Porter, Rob Howard put it in for the team’s top scorer. He had time to control, but the speed of the ball rushed him into trying a half volley, and no contact was made. And so, a cagey first half had Harlow perhaps unfairly behind, but with the belief they could steal a crucial point or three with a more clinical second half. The second half started off as one with few chances, and it took some time for play to get flowing, thanks in part to injuries to Davison and Parcell. And when Harlow’s first main chance of the half came in the 63rd minute, it took everything from Mark Weatherstone to stop it, the centre half heroically blocking a goal bound header from Foy at a free kick. Almost immediately after, Davison’s clever no-look backheel teed up Taafe, but his shot into the bottom left was well parried wide from Bexon. 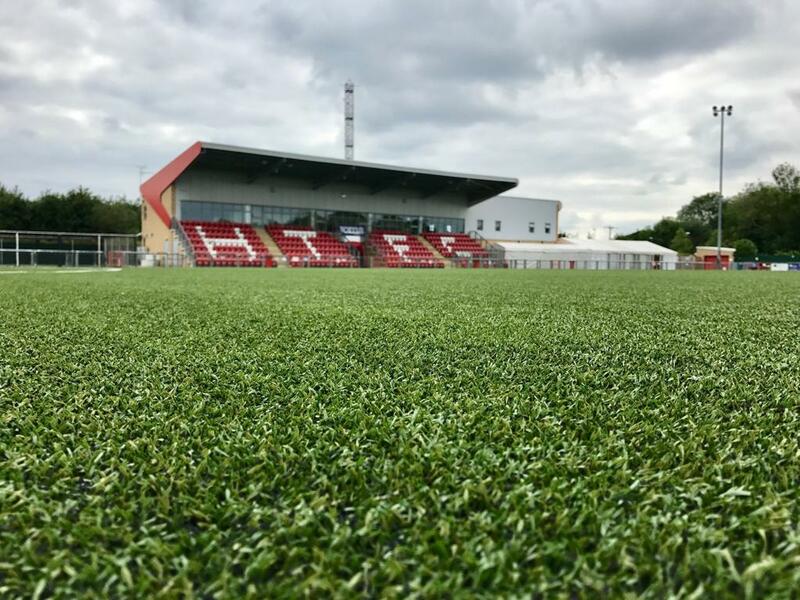 With Whitehawk and Wingate and Finchley both losing, Harlow were squandering a brilliant chance to strengthen their case for survival. But Foy had other ideas in the 63rd minute, racing onto an excellent ball over the top from Fabion Simms, outpacing Matthew Jonson, and blasting it into the top left to give his team a crucial goal. His sixth goal in as many consecutive starts was greeted by huge roars of appreciation from The McCulloch’s Arena, the young forward a constant positive in what has been a fairly disappointing season thus far. There was panic in the 70th minute when a cross from Parcell flashed across goal, but somehow, nothing came of it. Another cross followed from Davison not long after, and the outstretched leg of Chris Gregan just yards from goal prevented a tap in for Taafe. Harlow were throwing everything at Enfield’s goal, but hardly got close to it, often lacking the final ball, that last incision of the defence to create a chance. The same could be said for Enfield, but despite a season which has fizzled out after a consistent promotion charge, they didn’t give up. They kept pushing, and had too, given they squandered a lot of their chances. A sloppily conceded corner in the 90th minute was cleared, but only as far as the unmarked Johnson, who found the top left to consign Harlow to another late heartbreak. Their perseverance and superior quality had paid off. Clearly dejected, some fans went on their way home, and missed another goal in the process. Despite only being 18, Davison displayed the same maturity and composure he had all afternoon to turn Taylor Hastings outside the box, power through and slot past Bexon to put the final nail in Harlow’s coffin. Coming from a counterattack, which was stopped, but then gifted back to Enfield, this goal was perhaps the perfect representation of the shortcomings that Danny Chapman’s team have experienced this season. He and his team now have it all to do. Only three points separate them and 19th placed Whitehawk, but an unfavourable goal difference (-50) and the meeting of fellow relegation rivals Wingate and Burgess Hill next weekend, means Harlow ideally need two wins from the last two games. That quest begins in two days’ time, the annual Easter Monday clash this year taking Harlow to Hornchurch for a 3PM kick off.